March 30. Welcome, to the latest edition of the Topretirements weekly eNewsletter. We have had a lot of requests to keep updating our series of "Dueling Retirement States" articles. So today we present a revision of our 2010 comparison of DE, MD, NJ, and VA. As always, If youthink our information is helpful, please share the word by forwarding it to a friend. They can get their own free copy here. Located in California&apos;s Coachella Valley and east of Palm Springs, it offers a lower key version of its more famous neighbor. The mountains are just as beautiful and the outdoor recreation in the sunshine is great too. If you are looking for a cute little and walkable town in Florida, this one at the top of the Sunshine State is a good bet. It is just about Amelia Island - talk about great beaches. Those who think Florida is losing popularity with retirees might want to re-evaluate. 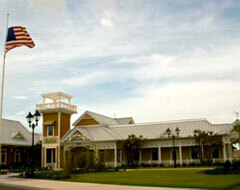 The fastest growing Metro is The Villages, and 5 other FL Metros are in the top 20. See More.